Does the authoritative teaching of Christianity stifle reason? Although G.K. Chesterton wrote Orthodoxy over 100 years ago, it continues to provide prescient, applicable wisdom for us today. At the beginning of chapter three in that book, a chapter entitled "The Suicide of Thought," Chesterton notes how the sages of our modern age trade on poor assumptions. Religious authority has often, doubtless, been oppressive or unreasonable; just as every legal system (and especially our present one) has been callous and full of a cruel apathy. It is rational to attack the police; nay, it is glorious. But the modern critics of religious authority are like men who should attack the police without ever having heard of burglars. For there is a great and possible peril to the human mind: a peril as practical as burglary. Against it religious authority was reared, rightly or wrongly, as a barrier. And against it something certainly must be reared as a barrier, if our race is to avoid ruin. Chesterton here asserts that faith is not the enemy of reason, but that reason relies upon faith for its relationship to reality. 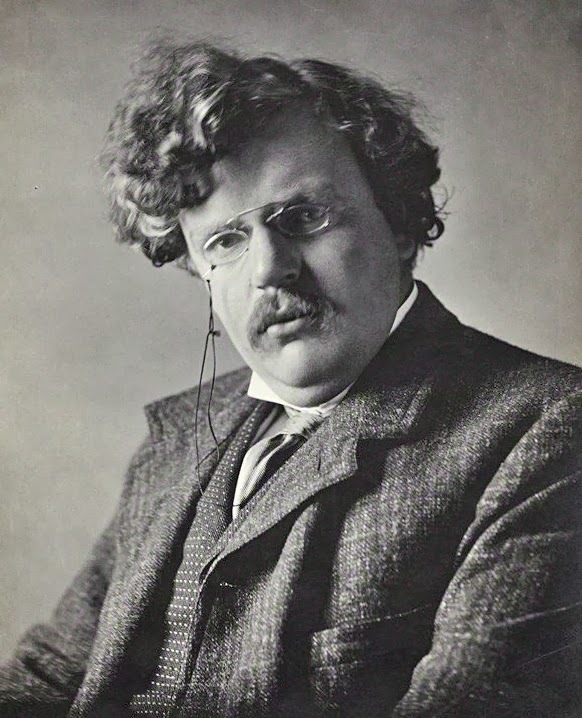 While skeptics and atheists such as Richard Dawkins and Sam Harris continue to shout that they have claimed the high ground of reason, Chesterton ably shows how those claims crumble, and he does so nearly a century before the New Atheists even made them! The fact that the man or woman who holds to faith in Christ can truly be considered reasonable is made even more clearly with the release of the book True Reason: Confronting the Irrationality of the New Atheists. I was fortunate enough to have contributed to this volume and I highly recommend it to anyone looking for ways to demonstrate how Christianity is intellectually as well as spiritually satisfying. One of the bigger misunderstandings when conversing with others is the issue of necessary and sufficient conditions. Recently, my friend Max Andrews posted an article to his blog entitled "The Incoherence of Claiming to be an 'Ex-Christian'". You can read the whole post, but basically Max argues that folks like atheists who hold that they were one Christians but now are not are actually stating a contradiction. To be a Christian, one must believe things like God exists and that the death, burial, and resurrection of Jesus Christ were real events. In fact, one must trust in those beliefs, relying upon them for one's salvation. You cannot be a Christian without being saved, so, salvation is necessary to be a Christian. And it is necessary to believe in God's existence and the resurrection of Christ in order to be saved. The problem comes in, then, when an atheist says that he or she is not now a Christian. Atheists reject the very points that are necessary to be a Christian at all. But that's the rub. If you claim that you used to be a Christian, you are then saying that the concept of being a Christian can obtain. Thus, you are also saying that God does exist, that Jesus did die and rise again, and any other point that is also necessary for salvation also obtains. But at the same time, as an "ex-Christian" you are denying these very points! As the comments on Max's article seems to show, there are a lot of people who are confused about the concept of necessary and sufficient conditions. These distinctions are crucial in clear-thinking and I found a wonderful video that pretty clearly spells them out. I hope this will help you better in your conversations. Our culture is changing. The Christian worldview, which was widely accepted when I was a kid has given way to a much more fragmented view of reality. Because of this, Christians cannot assume that those we share with will have the same framework on matters of religion, morality, God, or even the nature of truth. So, it becomes crucial that we learn to listen well, identify the beliefs of those with whom we're conversing, and understand what kind of argument they are making for their position. As I said last time, many times when people give reasons for their beliefs, they express only part of what they believe. In order to build an argument, the conclusion must follow from the premises, but many times, one of the premises is only implied, not specifically stated. Let's look again a couple of objections we normally hear from non-believers: "I see an abundance of evil in the world. So, God does not exist." There is an abundance of evil in the world. That argument is valid, in that if both premises are true, the conclusion follows. Before the conversation goes any farther, though, one should make sure that the assumption you make is the correct one! I can't stress this enough. It isn't enough to think that you've figured out your debater's opinion, you need to ask and clarify it with him or her. So, you may want to ask "Are you saying that if God exists, He would not allow an abundance of evil in the world?" By verbally expressing the hidden premise, you can confirm the person's argument and you know you are moving in the right direction instead of arguing against a position the other person doesn't really hold. Now, you can begin to focus on the problem with the argument. It isn't at all clear that premise #1,the hidden premise, is true. How do we know that God does not allow a certain amount of evil for a short time in order to achieve other ends? How do we know what "an abundance" means? How do we know that the world wouldn't be even worse than it is now except for the restraining hand of God (think the alternate 1985 of Back to the Future II)? You believe in an all-loving God. You believe God sends people to hell. You can see right away there are a couple of different ways you can take this argument, the most effective would be to question the hidden premise. Why should someone believe that an all-loving God wouldn't send at least some people to hell? Did Hitler deserve hell? Is it all-loving to allow criminals to escape without penalty? How does an all-loving God promote justice? 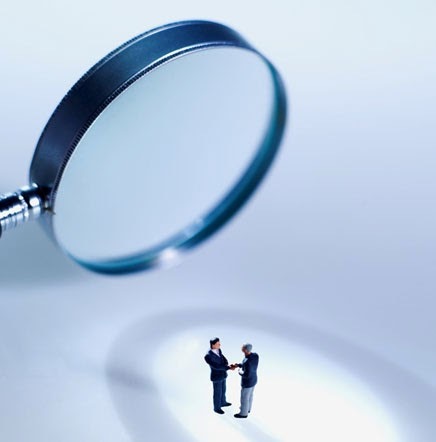 By trying to identify hidden premises and the underlying arguments your challenger is making, you can hone your discussion to a more fruitful area. The key here is to keep asking questions until you understand all parts of the actual objection. Then you can begin to argue more effectively. I recently watched the movie 12 Years a Slave. It was intense, but extremely well done. And, it was an accurate depiction of what it means to be at the pinnacle of human objectification. Just as slavery in America, kidnapping, human trafficking, genocide, or eugenics, have a primary root in treating an individual as an object, those that have perpetrated these evils have chosen to, in whatever capacity, not treat them as being valuable in and of themselves. When we see these sorts of injustices occur, at least on screen, there is something that tears us apart at the core of who we are. That abysmal and ugly discomfort we get when we watch a movie like 12 Years a Slave is at full discord with something deep within us: the belief that human life is exceptionally invaluable. Because human life is so invaluable, it is clearly wrong to exploit other human beings for our own potential financial gain or success. There was only one other thing I found more disturbing than the objectification. As I watched the film, it presented the varying sentiments concerning American slavery from all ends of the spectrum. It showed the Deep South drenched in oppression and showed the North in an ideal and colorblind society. What was peculiar wasn't necessarily these extremes, but the in-between, like a scene of kidnapping occurring right in Washington D.C. with the Capitol building close by in the background. It was appalling to think that of all places such evil could happen, it occurred right under the nose of people that had the very power to do something about it. The in-between was not just among the North and South. The movie also depicted merciless slave owners and benevolent masters. But unfortunately, even among the kindhearted, some chose to shun what was right and bury it deep within them. That is what struck me with anger. Some masters genuinely seemed, even if fleetingly, to come to grips with the full weight of their actions. And yet, they still choose to treat others with depravity. It was the silence among those who knew what was right and chose not to stand up for the right thing that tears at your soul in this film. It is the benevolent master, who, though benevolent, still chooses to ignore exacting justice and keep a man a slave. He ignores a woman being torn from her children and slaves sold naked. Because human lives are at stake, it is clearly wrong to stay silent or permit treating human beings as objects – bartered or sold off for good. 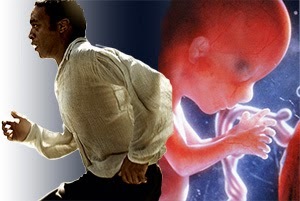 What is the unborn? It is a human being, but it has no voice. And in the spirit of the law, it is a disposable object. 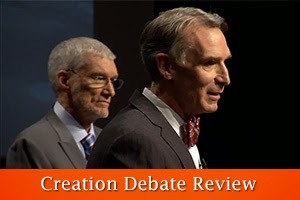 Yesterday, Ken Ham and Bill Nye debated their concepts of creation and evolution at Ham's Creation Museum in Petersburg, Ky. I watched the debate live with a group at a local church (you can watch a recording for a few more days here), and given that there were nearly 500,000 streams of the event around the globe, it would be easy to estimate that well over half a million people viewed the exchange. Many have commented on the event, but as someone who has previously participated in a formal debate, I thought I would put down some of my observations here. I thought the debate was very well run and it went better than I expected. Both Mr. Ham and Mr. Nye were respectful in tone and were genuine in their approaches. I think each participant understood that this event was important and each wanted to make his best case. CNN's Tom Foreman moderated and did an excellent job as well. The debate platform was clean and the podiums for the speakers were spaced comfortably for both audience viewing and the television cameras to get a two-shot. (The graphics on the front of the podiums were my favorite part.) Using a pre-submitted set of questions from the audience allowed the Q & A time to flow quickly and more questions were presented in the 45 minute allotment than could be had with a queue in front of microphones. I thought some of Bill Nye's arguments concerning the ice core evidence for 680,000 of winter/summer cycles and the abundance of species variation that argues against such diversification taking place in only a few thousand years were his strongest points. I thought that Ham did a great job in showing how science education today does hold a bias against a creator, even including a clip from a previous interview Bill Nye did. He was particularly strong when referencing a new study that shows all dogs came from a single ancestor and declaring how changes in finch beaks are variations within an instruction set. He also notes that cave fish "evolving" to have no eyes is not a net gain; there is no new information there. The fish have only lost the capability of seeing. Ham was also bold enough to present the gospel a few times during the evening, which I appreciated. The most unfortunate thing in this debate is that neither debater focused on the actual debate question! At the beginning of the debate, Foreman clearly stated that the debate question was "Is creation a viable model of origins in today's modern scientific era?" Ham was to argue the affirmative and Nye was to take up the negative. Neither person in their initial opening five minute speech nor in their longer thirty minute second presentations built an argument focused on this question. Ham continually claimed that one must start with certain assumptions when trying to understand the past. However, this doesn't address whether or not creationism is a viable model. Several times throughout the night he highlighted scientists who were also creationists, although most of those had specialties that had nothing to do with creationism or evolution at all. If the debate question were "can good scientist hold to a creation model?" this would be prime evidence. Alas, that was not the topic at hand. Nye actually changed the question when he began his 30 minute presentation. He begins by saying, "Let's take it back to the question at hand. Does Ken Ham's creation model hold up?" What? Is that now the topic of the debate? If so, I wouldn't have bothered watching because I'm not interested in Ham's version. Nye offered several strange lines of evidence, such as the shipbuilding capabilities of Noah and his family. Huh? What in the world does that have to do with creation as a viable model in science? In any account of Noah and the flood, the creation has already been established. Nye also went off on a tangent about fish reproducing asexually versus sexually with others. He notes how asexual reproduction is less desirous but sometimes necessary (that's a straight line for too many jokes.) But again, how does this prove or disprove the question at hand? Could the fish not be designed for such contingencies? It shows neither evolution nor creation but the fact that certain fish in a certain environment have the capability to reproduce asexually. There are other animals that reproduce asexually, too. This completely misses the question. Neither presenter provided an actual argument—you know, a series of premises and a conclusion—that I would have expected in a debate. It would have been a much more powerful presentation had the opponents laid out their arguments first and then expounded on them. And it was clear that both presenters were guilty of something I've stressed before: creation conflation. There were a few missed opportunities in the debate that could have been capitalized on. The first is Nye's claim that if you can find "even one example" of a fossil crossing layers you would change science forever and "the scientists of the world would embrace you." Well, polystrate fossils have been well-documented, and it hasn't led the scientific community to embrace creationism. There are simply new theories that justify the find as a natural, not a supernatural occurrence. The point that made me laugh out loud, though, was how Nye insisted that scientist WANT to embrace new ideas. We know that scientists resist upsetting their current models, as this 1961 article from Science shows. The more relevant work is that of Thomas Kuhn. In his book The Structure of Scientific Revolutions, Kuhn demonstrates how the history of science is not one gradually increasing understanding of the world, but it is more how a certain model becomes the status quo and is accepted until someone (whom Kuhn labels "an outsider") upsets the status quo by offering a new paradigm. Thus science advancement comes in fits and stages as those who hold the existing model are forced to give way to the newer paradigm. Two examples of Kuhn's paradigm shifts were items that Bill Nye mentioned in the debate: the emergence of plate tectonics and the abandonment of spontaneous generation after Louis Pasteur's experiments. Another I could add was the emergence of the Big Bang model from the previous steady state theory of the universe. Like the other models, the theory was not met with open arms by the scientific community, but by much resistance. Nye seemed to imply that Fred Hoyle liked the idea, when he actually named it in derision and was one of its most vocal opponents. Though it was first proposed by Roman Catholic priest Georges Lemaître in 1927, it took Wilson and Penzias' discovery of the cosmic background radiation in the 1960's that led it to be the primarily accepted model among cosmologists. Another wince-inducing point was how Nye tried to assert that the Biblical text was transmitted to us through a method like the telephone game. This is simply, demonstrably false and even non-believing scholars l flatly reject such an assertion. Ham had some egregious moments as well. When he for the third and fourth time referred to his small sampling of scientists who were also creationists, his argument moved from a non-sequitur to a fallacious appeal to authority, and it became annoying from the audience's standpoint. 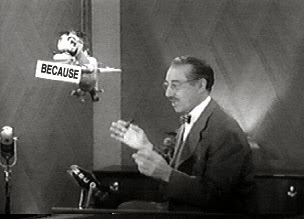 Ham never answered Nye's stronger points above, but simply dismissed them with the rhetorical "how do we know, we didn't see it!" Well, if that's the criteria for knowledge about historical events, then we need to fire all the CSI lab technicians and set the murderers free. Ham also lost points in my opinion when he was asked if he was provided evidence, would he still believe in God. Instead of beginning with the historical fact of the resurrection of Jesus, Ham stated that everyone has to have certain presuppositions and the Bible was his presuppositional choice. But doesn't that beg the question? Nye similarly begged the question when asked about things like the emergence of consciousness or how the Big Bang happened from nothing. He simply claimed these were "great mysteries" and we should be glad they are there to study. The final question of the night, "What is the one thing, more than anything else, upon which you base your belief" was offered to both participants and they basically responded the same way they had been all night long. Ham said one must presuppose the truth of the Bible in order to know history and origins. Nye answered that he based his beliefs on the joy and love he receives from the information and the process of science. Their presuppositions are noted, but each is rather subjective. I know that many creationists also feel Nye's excitement and love of scientific discovery. I know there are many other people who presuppose the Qur'an, the Book of Mormon, or some other text as their starting point for interpreting history and creation. Neither answer satisfies a seeker who is honestly trying to make heads or tails out of all this, and while this question may be tangential in itself, neither response helps us answer the question of the debate. In all, I am truly excited that the interest in this debate was so high. I think there are many, many people who really want to discover the facts that are out there and that we as Christian communicators can find fruitful ground in providing some of those answers. There are a lot of holes left open by the participants in the debate. Let's see if we can go out and close some of them with good evidence. I've been taking some time on this blog to discuss ways to witness and defend your faith more effectively by using logic and argumentation. This isn't some stuffy, intellectual exercise. Using logic is simply thinking in an orderly and intentional way. It allows one to be persuasive while avoiding errors in thought. In fact, logic is the very tool one can use to identify errors in thought, which means that it can be a great help in identifying why the reasons another person gives for their beliefs may be flawed. Being thoughtful and building a proper argument for one's beliefs takes a little work. As I mentioned in my previous article, when building an argument one normally supplies reasons for why he believes the way he does. The reasons for a belief could be labeled the premises while the belief itself could be labeled the conclusion. While many Christians who seek to defend their faith may be familiar with some of the formal arguments and can present them as such, it is just as important to learn how to listen effectively and define the argument your converser is making. Identifying the arguments that another person is voicing can sometimes be a bit more difficult, since conversation doesn't normally present itself in a formally organized way. You must listen carefully and try to identify booth the belief and the reasons why the other person holds that belief if you want to be fair and address the belief as he or she holds it. Luckily, there are ways you can learn to do this with more ease. The biggest help is to look for what I call "trigger words" that separate a belief and its supporting evidence. Trigger words are simply words in English most people use to show reasoning. We do the same thing when we talk simple arithmetic problems, so I will use those as an example. Usually, you would see a problem presented this way: "If Johnny wants to take three apples in his right hand and four in his left, how many apples will he have?" The word "and" in the sentence above signals that this is an addition problem. If the sentence would have said "less than" it would have signaled a subtraction problem. The words help you understand the nature of the problem itself. Thus, if a person states "I've read about so much fossil evidence, it's likely that evolution is true," we can see the trigger words of "it is likely" showing that the person is drawing a conclusion about the truthfulness of evolutionary theory based on the reason (premise) of an abundance of fossil evidence. Another may be "I see an abundance of evil in the world, so God does not exist." Here, the word "so" acts as a trigger. It points to a conclusion drawn from the previous statement. One more thing in my examples above: they hold what I would call a hidden premise in each of them. A hidden premise is a premise that isn't stated but implied. I will get into more of that next time, but for now it's enough that you learn to identify premises and conclusions in conversations with people so you can begin to argue more effectively.